Federal Civil Litigation; Labor and Employment; Age Discrimination in Employment; Employment Disability Discrimination; Employment Litigation; Employment Mediation; Employment Termination; Equal Employment Opportunity Law; Executive Severance Contracts; Federal Employment Law; Harassment; Public Sector Employment Law; Title VII Discrimination; Whistleblower Claims; Disciplinary Actions; Wrongful Termination; Banking Law. 1977, Pennsylvania; 1986, District of Columbia; 2006, Virginia; U.S. Courts of Appeals, Fourth, Fifth, Ninth; District of Columbia and Federal Circuits; U.S. Court of Federal Claims; and the U.S. Supreme Court. Washington College of Law, J.D., American University, Washington, D.C. The District of Columbia Bar (Member, Labor and Employment Law Section); Virginia State Bar; Pennsylvania Bar Association. 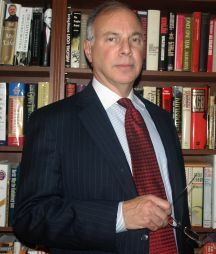 Larry J. Stein has been principal attorney in The Law Offices of Larry J. Stein, LLC, since its inception in January 2006, specializing in Federal Employment and Labor Law, including Employment Discrimination, Disciplinary Actions, Negotiation of Reasonable Accommodations under the ADA and Rehabilitation Act, Disability Discrimination, Retaliation Claims, Whistleblower Claims, and Sexual Harassment cases. Mr. Stein has extensive experience practicing before the Equal Employment Opportunity Commission and the Merit Systems Protection Board, as well as in federal district and appellate courts throughout the United States. In his work representing employees in the private sector, Mr. Stein specializes in the analysis and negotiation of Employment Agreements and Severance Contracts, focusing on non-compete clauses. Mr. Stein is a former Senior Counsel in the Office of the Comptroller of the Currency’s Litigation Division, U.S. Treasury Department, where he concentrated on employment and labor law matters in federal appellate, district court and administrative litigation, including highly complex employment and banking law cases. He was a Federal Government attorney for over 30 years. Mr. Stein’s extensive experience as Agency counsel, while in the Federal Government, is responsible in large part for his record of success in negotiating a long list of favorable settlements since he entered the private practice of law in 2006. As the cost of administrative litigation before the EEOC and MSPB can be quite high, the ability to negotiate favorable settlements is invaluable, and essential. Kloeckner v. Solis, 133 S.Ct. 596 (2012), wherein the Supreme Court established, unanimously, that a broader class of Federal Government employees now has access to federal district court to contest their discriminatory removals from the federal service. Prior to Kloeckner, these employees had no access to federal district court on their claims of discrimination; Nguyen v. Voorthuis Opticians, Inc., 478 F.Supp.2d 56 (D.D.C. 2007); Horton v. Bank One, N.A., 387 F.3d 426 (5th Cir. 2004); Ghiglieri v. Ludwig and Commercial Nat’l Bank, 125 F.3d 97 (5th Cir.1997); Biddle v. Dep’t of the Treasury, 1996 WL 14001 (N.D.Ill. 1996); American Commerce Nat’l Bank v. Clarke, 974 F.2d 127 (9th Cir. 1992); First Nat’l Bank of Gordon v. Dep’t of the Treasury, 911 F.2d 57 (8th Cir. 1990). U.S. District Court for the District of Columbia. 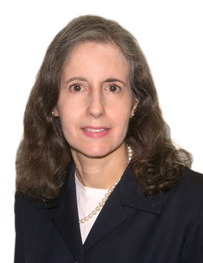 Rosa M. Koppel specializes in employment and labor law. Before joining The Law Offices of Larry J. Stein, LLC, in August of 2014, Ms. Koppel practiced employment and labor law for 30 years in the Federal Government as legal adviser, litigator and Assistant Director of Litigation at the Office of the Comptroller of the Currency, then as Deputy General Counsel at the United States Merit Systems Protection Board and, for the last six years of her Federal career, as Solicitor at the Federal Labor Relations Authority. At the FLRA, Ms. Koppel litigated before the U.S. Courts of Appeals, the Federal District Courts, the EEOC, and the MSPB. She also advised management and human resources on employment law, drafted employment policies, and served as the agency’s chief legal adviser to the Presidential appointees and all other employees, designated agency ethics official, chief Freedom of Information Act officer, and privacy officer. Having served as a Federal employee, labor and employment law litigator and adviser, manager of attorneys and support staff, senior executive, and ethics official, Ms. Koppel offers clients a unique and multi-faceted perspective on the practice of employment and labor law.